Retinitis Pigmentosa, also known as RP, is an inherited, genetic, eye disease which causes retinal degeneration. RP is caused by a progressive loss in the light-sensing (rod photoreceptor) cells that are located at the back of the eye. At Eyehelp - A Macular Degeneration and Low Vision Clinic, we understand how important your vision is to live a comfortable, enjoyable life. We provide Retinitis Pigmentosa patients with suitable, high-quality, low vision aids and eyeglasses that will help improve their current level of vision. Whether you are experiencing peripheral vision loss, central vision loss, or night blindness, our low vision doctor, Dr. Brett Mills, will work with you to recommend the perfect low vision aids and eyeglasses for you. We treat patients of all ages at our Arkansas low vision clinic. How Can I Drive With Retinitis Pigmentosa? Driving with Retinitis Pigmentosa largely depends on the severity of the patient’s eye condition. As mentioned earlier, many Retinitis Pigmentosa patients develop peripheral vision loss and, at the same time, find it difficult to see at night. Side and night vision is very important when driving. At some point, it won’t be possible for you to drive at night. However, to drive during the day, it is advisable to check the visual driving requirements for visual acuity and peripheral vision in your state. Side vision awareness glasses may help your peripheral vision while driving. How Can I Watch TV With Retinitis Pigmentosa? Retinitis pigmentosa is among the eye conditions that can prevent you from engaging in some of the things you always enjoyed, for example, watching television. Loss of central vision usually varies between patients. While some patients may be able to watch TV, some may not. To help improve your vision and make it possible for you to watch television, our low vision specialist recommends a custom fit bioptic telescopic lens or telemicroscope eyeglasses. How Can I Read With Retinitis Pigmentosa? Furthermore, patients with Retinitis Pigmentosa usually find some difficulty with reading. Initially, the patient only develops loss of peripheral vision. Since the central vision is still intact, the patient will still be able to read. Sometimes, at a slower pace. As the eye condition continues to deteriorate along with the loss of central vision, it becomes really difficult to read. To help improve your reading ability, our low vision specialist at Eyehelp - A Macular Degeneration and Low Vision Clinic recommends a suitable low vision aid or eyeglasses for you, such as prismatic reading glasses. Another solution is magnifiers that help enlarge the text. How Can I Use My Phone With Retinitis Pigmentosa? Retinitis pigmentosa often makes it difficult for one to operate their mobile device once they begin to lose their central vision. You will find yourself putting the phone closer to your eyes to read the text. At Eyehelp - A Macular Degeneration and Low Vision Clinic we recommend suitable low vision aids or eyeglasses to enable you to use your phone again. We also recommend various magnifiers to enhance the text. What Low Vision Glasses Can I Use For Retinitis Pigmentosa? A diagnosis of Retinitis Pigmentosa shouldn’t stop you from doing the things you cherish. Whether you enjoy watching TV, reading, writing, driving, or socializing, there is a suitable low vision aid or eyeglasses for you. This solution will help you carry out your daily activities and maintain your independence. Retinitis Pigmentosa patients often suffer from loss of peripheral (side) vision. Side-vision awareness glasses will expand the missing part of the visual field of the patient. This expands the awareness of objects in their path, thus, improving their side vision. With these, the patient may be able to drive, watch sports, and identify faces. Bioptic telescopic glasses consist of telescopes placed on two optical lens systems. Bioptic telescopes can help improve the vision of patients with Retinitis Pigmentosa. With your bioptic telescopic glasses, you can see objects at a distance, make out faces, watch TV, and lots more. Low vision magnifying reading glasses are also recommended for patients to help enhance their vision for reading print. The glasses will magnify the fonts and make it easier for the patient to read. At Low Vision Center, our low vision doctor, Doctor Name Low Vision, also recommends prismatic reading glasses to help patients with Retinitis Pigmentosa read print and text. Prismatic reading glasses come with optical quality spherical lenses. The lenses help to magnify and converge the image at the same time. They are suitable for reading and other hand-held tasks. Tele-microscope glasses feature two or three lenses separated by an air space. The telescope helps to magnify images. Some telemicroscope eyeglass comes with a focus knob which adjusts to correct spherical errors. Tele-microscope glasses can be used for viewing both close and distant objects. This low vision device is suitable for activities such as watching TV, watching sports from a distance, making out faces, doing house chores, and lots more. Reverse telescopic glasses can improve vision in patients with visual field loss. These small telescopes are carefully placed on top of the patient’s eyewear. The tip of the telescope’s head makes it possible for the patient to have a wider view. This is made possible minifying the remaining field of view of the patient. This can be compared to looking backward through a pair of binoculars. With this, the patient can have a small, yet, sharper image. Dr. Brett Mills also recommends custom-made optical systems for patients with Retinitis Pigmentosa. The microscopic and telescopic lenses in the optical system help to magnify images and objects. Digital magnifiers or CCTV consist of a camera and a TV screen. Together, they serve as a low vision aid for patients with Retinitis Pigmentosa. When the camera is pointed at an object, a magnified image appears on the screen. Through the camera, patients can see and read magnified images of the object. Retinitis Pigmentosa patients can also use handheld magnifiers to magnify objects, especially when reading. This portable low vision aid can increase the size of an image by 1.5 or up to 20 times. Since they are portable, you can easily take your handheld magnifier along with you when heading out. The handheld magnifiers help to improve reading and viewing ability of patients. Our low vision specialist, Dr. Brett Mills, will carry out a detailed diagnosis to determine the best low vision aids or eyeglasses for you. Read more about our low vision glasses and aids. How Can I Make Out Faces? If you have Retinitis Pigmentosa, making out faces directly in front of you may still be possible at the initial stages, since you only have peripheral vision loss. However, once you start to experience central vision loss, recognizing faces can be quite hard. Everything looks blurry. Our Low Vision Doctor Dr. Brett Mills at Eyehelp - A Macular Degeneration and Low Vision Clinic recommends low vision glasses, bioptic lenses, or side-vision awareness glasses to help improve your vision and ability to make out faces. How Can A Low Vision Eye Doctor Help Me? Our Low Vision Optometrist, Dr. Brett Mills, helps patients from all over Arkansas, with eye diseases such as macular degeneration, glaucoma, diabetic retinopathy, retinitis pigmentosa, cataracts and more, to maximize their remaining vision to its full potential in order to recover and save vision functionality. This is done with the help of highly specialized Low Vision optics/glasses and other vision aids that help patients regain their independence. There Is Hope For People With Vision Loss! Dr. Brett Mills, our Low Vision eye doctor, is passionate about helping people in Arkansas recover their day to day functioning. Too many patients leave their ophthalmologist or retinologist thinking there is nothing left to be done but manage the disease to prevent further vision loss. 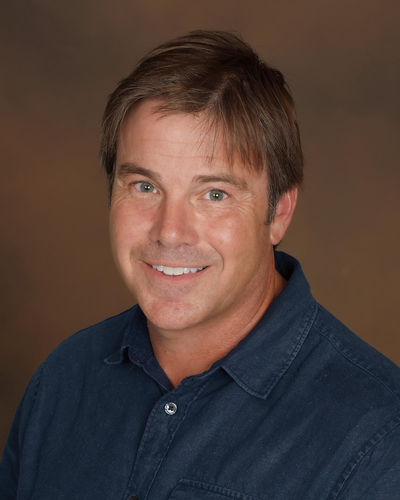 Dr. Brett Mills is a member of the International Academy Of Low Vision Specialists (IALVS), the premier organization of Low Vision Optometrists. All members of IALVS receive extensive training to learn how to help patients with vision loss maximize their remaining vision using the latest devices and technology. For many people, proper use of a Low Vision device means being able to read, drive, sew, play cards, watch television, and use the computer—all of which would be impossible without these Low Vision Aids. At the Eyehelp - A Macular Degeneration and Low Vision Clinic, we help patients from Bentonville, , , and to enjoy life after vision loss with Low Vision Aids. How Do I Cope With Retinitis Pigmentosa? Living and coping with Retinitis Pigmentosa can be difficult. The first and hardest step towards dealing with this eye condition is accepting it. Doing this may not be easy. You are likely to go through moments of despair. You will even be angry and annoyed with yourself or the world. One bright note is that you can still enjoy life and have your independence with the right low vision aids and eyeglasses. Other tips to help you cope with RP are avoiding stress, eating well, not smoking, and regular exercise. Additional helpful steps are taking nutritional supplements and exploring other medical and alternative therapy options. Learn to adapt, have a positive attitude towards life, and never write yourself off. Through this approach, coupled with the support of your family and loved ones, you will be able to cope excellently with your vision impairment. When you visit our low vision clinic in Bentonville, our low vision specialists will recommend suitable coping tips and approaches for you. When you visit our low vision clinic in Bentonville, our low vision doctor will recommend suitable coping tips and approaches for you. There have been major improvements in the optical design and construction of Low Vision telescopes, microscope glasses, filters, and prisms. Furthermore, a range of digital devices have been developed which can significantly boost the ability of a Low Vision sufferer to function. These include IRISVISION, ORCAM, ESIGHT and CCTV stands, as well as portable digital magnifiers. Give us a call to learn more about the different low vision aids, devices, magnifiers, and glasses. Because of the large range of options, it is crucial to speak with a Low Vision optometrist who will help you navigate the options and find the option that will give you the best solution to your specific needs. Eyehelp - A Macular Degeneration and Low Vision Clinic is the preferred provider of Low Vision aids for patients from Bentonville, , , and . How Does Retinitis Pigmentosa Affect The Eye? What Are The Symptoms Of Retinitis Pigmentosa? When light hits the retina, light-sensing cells called photoreceptors, transport the light to the brain through electrical impulses. The brain then sends the information back to the eyes, and this is what is known as sight or vision. When someone has RP, the light-sensing cells have degenerated causing the connection to the brain to be lost. Light-sensing cells in the retina are grouped into cones and rods. Cones, found on the inner layer of the retina, are what we use to see during the day. Those cones help us to see colors and sharpen our vision. Rods, found on the outer layer of the retina, enable us to see at night. The rods are also used for peripheral vision as they are on the outer layer of the retina. During the initial stages of RP, the rods are severely damaged. As the rods die, patients experience night blindness and eventually, loss of peripheral vision. Also, the loss of the rods also causes the breakdown and loss of the cones. Once the cones die, the patient will lose a large extent of their visual field. The loss of their visual field makes it hard to see or perform their day-to-day activities such as driving, reading, walking, making out faces, and so forth. Fortunately, we prescribe the ideal low vision devices and eyeglasses for these patients at our low vision clinic. As noted above, the effect of RP on the eyes depends on whether there is a deterioration of the cones or rods. In most cases, the rods are affected first and thus there is night blindness and loss of peripheral vision. Central vision is still there and seeing is like looking through a gun barrel or a doughnut. When the cones are affected, colors, visual acuity, and central vision are lost and tunnel vision will also develop. Think of it as a curtain that is slowly closing from the sides until the central vision becomes blurred. RP is generally diagnosed in adolescents and is a progressive disease. By age 40, most RP patients are legally blind. Unfortunately, RP is an incurable disease. Loss of night-vision, peripheral vision, or any other part of your vision can be a very difficult and traumatic experience. There is a sense of loss of independence. One can’t drive, watch TV, see their family and friends normally, or do general household activities. Ordinary eyeglasses and contacts may not be sufficient to correct vision problems related to RP. A lot of patients may have been told there is nothing to be done. However, there is good news. 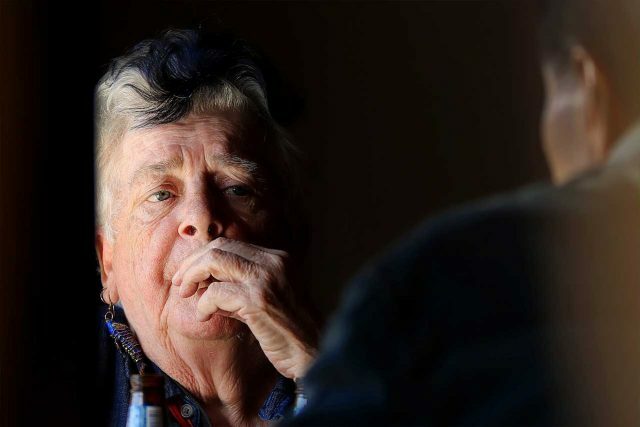 At , we offer several solutions to help patients with RP regain their independence and begin to live a more normal life. recommends the suitable low vision aid or eyeglasses to help improve your condition. We often recommend telescopic lenses, reverse telescopic lens or side-vision awareness glasses for these patients. The telescopic lenses are small telescopes that are placed on the lens and, just like binoculars, they enlarge the objects in the vision path. Side-vision awareness glasses will also help to improve peripheral vision. A reverse telescopic lens is just like holding binoculars backward. Objects will be smaller, but field vision is greater. This will give the patient a larger area of mobility because they will see more of their surroundings. These are a great help for those at the beginning stages of RP because they still have central vision. In addition, what they need is minification and not magnification. This means that while a telescope focuses in on an object, it makes the surrounding area small, as opposed to a reverse telescope, which focuses out of an object, giving a greater view of the surrounding area and the peripheral. However, during the later stages of RP when central vision is lost, bioptic telescopic lens or other forms of telescopes, work well to magnify objects. Bioptic telescopes and other low vision aids have done wonders for those suffering from RP. They have strong magnifying lenses that allow the patient to focus on objects. These various low vision aids can allow patients to recognize faces, watch TV, read books, look at distant objects again, and more. In many cases, they can even help with a driving test by helping to identify street signs and the road in front of them. If you suffer from RP and you think all hope is lost to regain good vision, visit Dr. Brett Mills at Eyehelp - A Macular Degeneration and Low Vision Clinic. 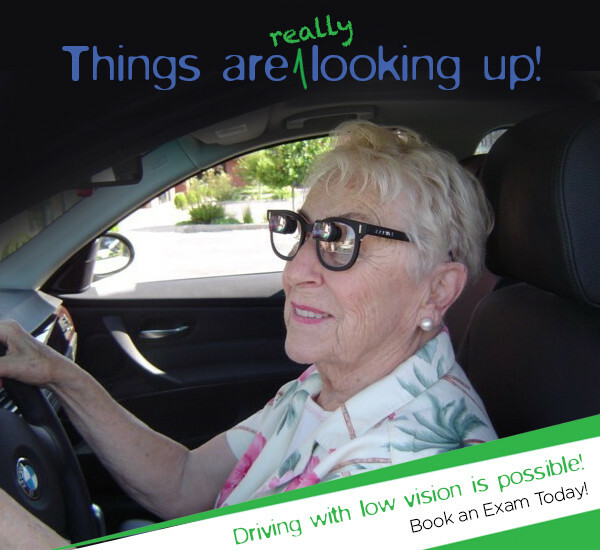 With our various low vision aids and eyeglasses, we can help you see again. Using his expertise and experience in the low vision field, Dr. Brett Mills will offer you a lifeline to be able to perform many activities and regain your independence. Contact us today to learn more about our services. An amazing experience awaits you!